City council vows to give more help to schools after report reveals white British boys are lagging behind their peers. 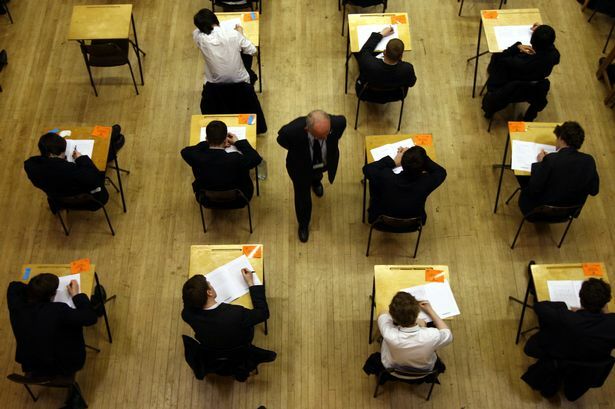 Underprivileged white British boys are still the lowest achievers in Birmingham, a new report has revealed. Birmingham City Council has pledged to offer more support to schools with high numbers of pupils eligible for free school meals after new figures showed they were falling behind academically. A report, breaking down the performance of children eligible for free school meals by their ethnicity, revealed white British boys are the lowest achievers. They are falling behind the national average at every level from nursery to GCSE-level, the council’s education scrutiny committee heard. The investigation showed 12 of the 27 secondary schools in Birmingham that have 10 or more white British boys eligible for free school meals are falling under the national average achievement rate for GCSEs. Nationally, 76 per cent of boys who do not receive free school meals achieve the government-required standard in reading, writing and maths by the time they are 11 – just 57 per cent of white British boys in Birmingham eligible for free food achieve the same standard. It is the lowest rate among the four ethnicities studied in the council report – with black Caribbean (60 per cent), Pakistani (66 per cent) and black African boys (67 per cent) on free school meals in Birmingham all performing better, although still below the achievement of boys who are not eligible for free meals. However, the figures have revealed that black African boys on free school meals are outstripping the average achievement of boys in the city who are not eligible for free food in their performance in reading, writing and maths at Key Stage 1 of primary school. Eighty-six per cent of black African boys on free school meals achieved the required level in reading by the end of Key Stage 1 compared to the average of 79 per cent for Birmingham boys with free dinners. In maths, 89 per cent of black underprivileged black African boys achieved level two or higher at Key Stage 1. This compared to an average of 84 per cent for Birmingham boys in receipt of a free lunch. And in writing, the figure was 82 per cent for poor black African boys, compared to the average of 71 per cent for Birmingham boys eligible for free meals. And he said schools excelling at helping underprivileged children would be chosen to share top tips and “best practice”. The report also revealed the Birmingham wards with the highest numbers of white British boys on free school meals, with Kingstanding, Bartley Green, Shard End, Kings Norton, Longbridge and Northfield all highlighted as areas where schools would need support.